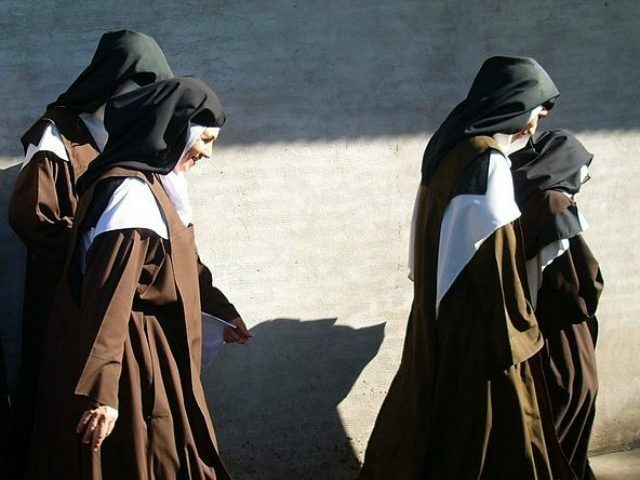 On November 10 last year, the men rang the doorbell of the small city’s Carmelite convent and announced they wanted to “discuss religion”, according to local media. Once inside, one of the men proceeded to assert that “Islam corrects the teachings that Christianity has distorted”, Sister Marie-Josephe told the court. The white-haired nun, who local media reports had welcomed the defendants with a big smile as the court hearing opened, said she was not impressed by the declaration, remarking that her faith tells her otherwise. The two men then strode through to the convent chapel and disrupted the evening service taking place there as they began to pray aloud. Highlighting the current situation with regards to Islamic fundamentalist terror in France, some of the six sisters present during the incident testified of their terror during the incident in November, when French authorities declared the threat of attacks to be at an unprecedented level. A doctor disclosed he had prescribed medical leave of periods ranging from two to eight days for the women, in whom he had noted “perceptible to marked psychological impact” resulting from the men’s actions. ft. “It was wrong,” the younger of the two defendants admitted in court, stating that he understood the women had been scared. Since Islamic extremists carried out the brutal murder of Father Jacques Hamel during morning mass in Normandy in 2016, Catholics in France are nervous about religiously motivated terror, with anti-Christian attacks having jumped 245 per cent between 2008 and 2017.